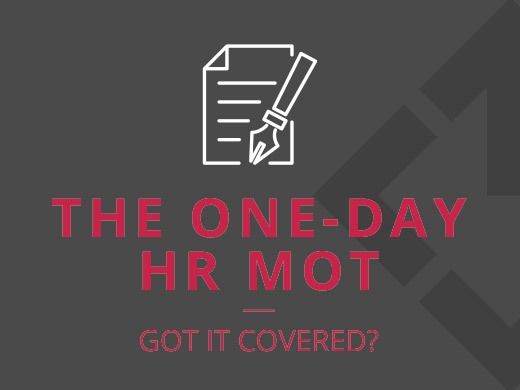 Lightbulb's One-Day HR MOT can tell you what you don't know - just like that! For just £795 plus VAT we will take you through our 'healthcheck' - from contracts and policies to recruitment, learning and development, bonus schemes and employee satisfaction. We will make 'quick fixes' on the day but you will also receive a comprehensive set of recommendations post-MOT that will not only ensure your compliance but also put you in a competitive position.